In my early days in Florida, I loved to find deserted roads around the state and just park my car at night and listen to the sounds. Birds, gators, frogs, crickets, bears. You name it, anything but city and highway sounds. Those days of 50 years ago are nearly gone. The State's population has quadrupled since I moved here in 1960. It's become crowded and noisy and a traffic nightmare. That's why it's hard to believe that just a few miles from Orlando there is a huge quiet zone that is largely unpopulated. It doesn't really have a name. It's the vast wilderness between Deltona, Sanford and the East coast. It is bounded roughly by State Road 415 on the west, U.S. Highway 1 on the east, the St. Johns River and State Road 46 on the south and State Road 44 on the north. It's probably 150,000 acres more or less. The main access through this wilderness is Maytown Road. 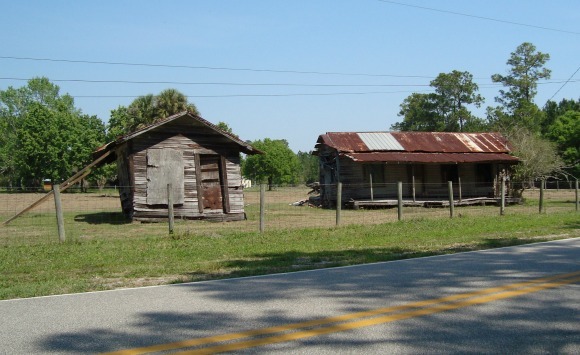 This road starts in the small town of Osteen and heads east across Central Florida to Oak Hill on the Halifax River. It is a lightly traveled paved road. When I first traveled it some 40 years ago it was dirt all the way. It was all too easy to get stuck during muddy conditions. Today it's a breeze to make the drive and it's almost as quiet as it was back then. There are no real towns in this wilderness. Names of old places that maybe once existed can be found on the maps: Kalamazoo, Farmton, Cow Creek, Maytown. Farmton's name is preserved in the Farmton Wildlife Management Area. It straddles Volusia and Brevard Counties and is 59,000 acres. It is privately owned and is used for hunting, grazing cattle and mitigation of environmentally sensitive lands. Maytown is a ghost town that used to be a crossroads for two railroads. One of the railroads connected Enterprise on Lake Monroe to Titusville. The other headed down toward Lake Okeechobee and was known as the Kissimmee Valley Branch of the Flagler railroad system. The railroads are long gone and all that remains in Maytown are a few old abandoned buildings. 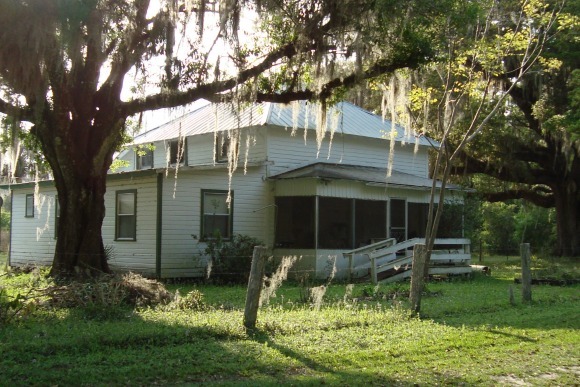 There is also a pioneer house south of Maytown on a road named Maytown Spur. It's along the old abandoned railroad that ran south toward Aurantia and Titusville. Farmton operates under a conservation plan approved by federal, state and local governments. 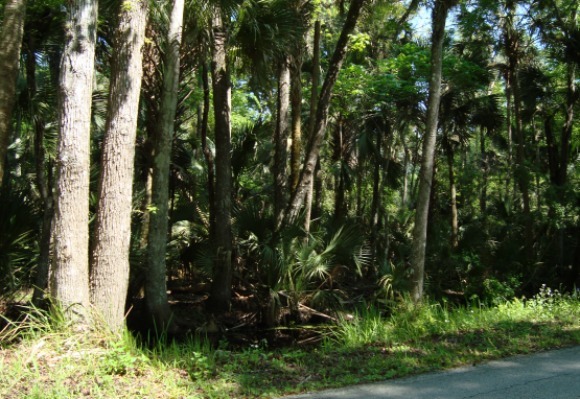 The plan emphasizes sustainable forestry and includes measures to protect wetlands, hammocks and habitat required to preserve wildlife like black bears, bobcats, bald eagles, swallowtail kites and other Florida critters. Farmton is owned by the Miami Corporation, a venture started more than 100 years ago by the Deering family of International Harvester fame. They still own and manage the lands. The family also built Viscaya in Coconut Grove and the Deering Estate in Cutler Ridge, hence the Miami connection. Turnbull Hammock forms much of the eastern border of this large area. Much of it is also protected by conservation areas. The hammock is a huge hardwood swamp and is very difficult to access. After you've driven through this cool quiet hammock, you will find yourself in Oak Hill. It's a good place for seafood and relaxation. Then turn around and go back the same way. 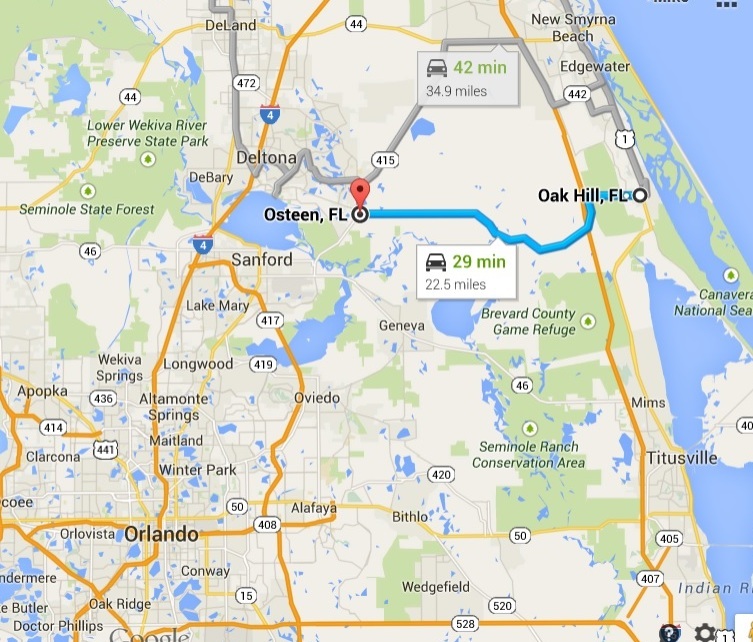 From Orlando, find your way to Sanford and take State Road 46 east toward Mims. Turn left at State Road 415 and go north to Osteen. Just after the new pedestrian and bike trail overpass, turn right at New Smyrna St. Follow it back south a block or so until you come to Florida Avenue. Turn left, go east. It becomes Maytown Road. Follow it until you get to Oak Hill.